Tracy's Notebook of Style: 4th of July Sales have started!! Anthropologie - summer tag sale, up to 70% off, new items added. Nordstrom New markdowns on designer items - up to 33% off Kate Spade, Mickael Kors, Marc Jacobs, etc. 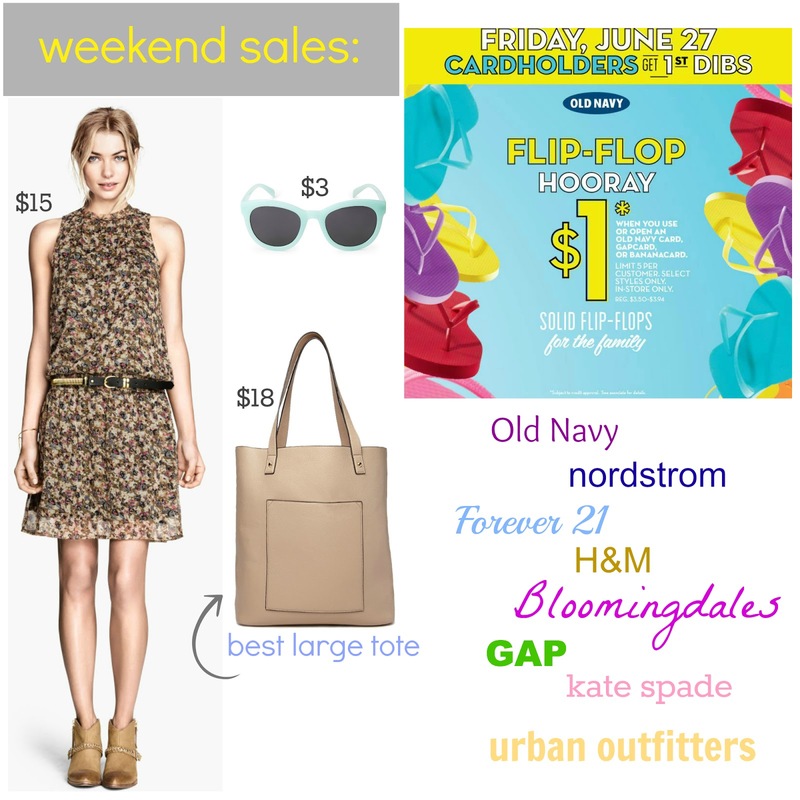 Old Navy - $1 Flip Flops (Friday for cardholders and Saturday 6/28 for everyone else), $2, $4, $6 Deals in store only. Great list! Are you making another list for next weeks july 4th sales too? I'm making mine on Tuesday! The sales sure are starting early and ending early next week, I wonder if there will be even more after the 4th! I plan on hitting up the outlets next Thursday! How about you? OH one more thing that H&M dress is SOOO CUTE. In case my comment didn't go through- love the dress and bag!! Great finds! !